Blockchain is a type of distributed ledger that stores a permanent and tamper-proof record of transaction data. Distributed ledgers can be thought of as a type of database, but unlike traditional databases, distributed ledgers are managed through a peer-to-peer (P2P) architecture and do not have a centralized data store. Blockchains are most commonly associated with cryptocurrency - and Bitcoin in particular. A blockchain ledger consists of two types of records: individual transactions and blocks, which are collections of data pertaining to transactions that take place within a set time period. The end user's software creates a hash of the information in each block and stores the hash with the block that is currently at the end of the blockchain. The hash of the previous block’s data is also included in the new hash that is stored at the end of the blockchain. This inclusion makes tampering with blockchain data practically impossible. Altering any transaction in a block changes the block’s hash and makes subsequent hashes associated with the following blocks incorrect. This is important because when a hashing function is run on a block to check its validity and the hash does not match the stored value, it means the record has been tampered with or is otherwise corrupt. Legitimate changes to the ledger are recorded across the blockchain in a matter of minutes or seconds and records are protected through cryptography. 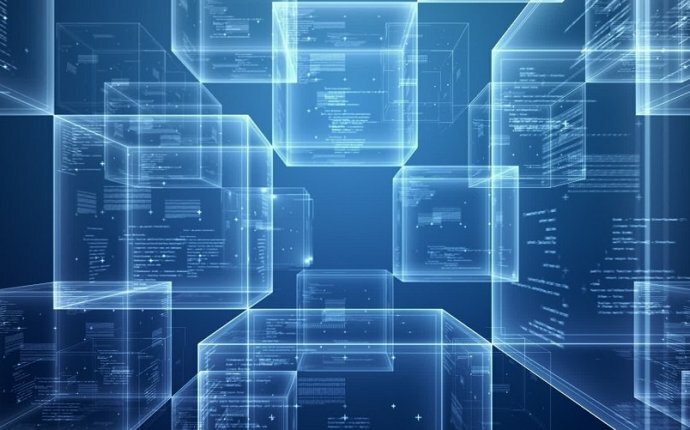 The simplicity and security that blockchain offers has inspired information technology (IT) professionals in finance to investigate ways that blockchain's distributed ledger and encryption can be used to provide the banking industry with secure transactions in near-real time, while also reducing the cost of maintaining the necessary infrastructure required for back-end processing.